A good quality 90mm shower tray waste that will fit all shower trays with a 90mm hole. 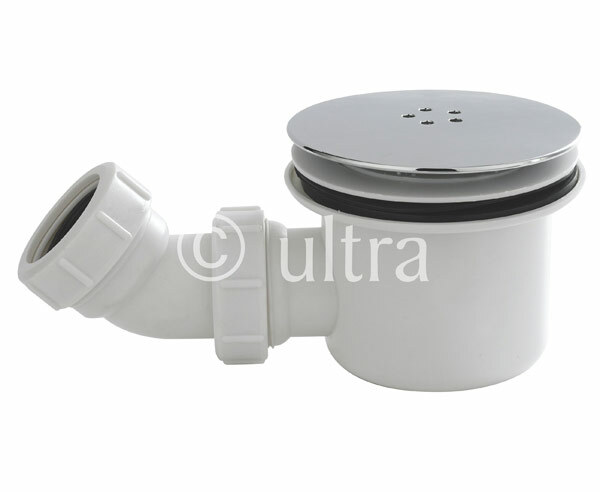 The modern 90mm size helps to drain water away efficiently, this is especially important with low profile trays. The waste also incorporates a removable trap for catching hair and preventing blockages further down the pipe work. This is accessible from above for easy cleaning. If you purchase a shower tray you will need a waste, to avoid complications in the future purchase a good quality product like this one from Ultra Finishing.